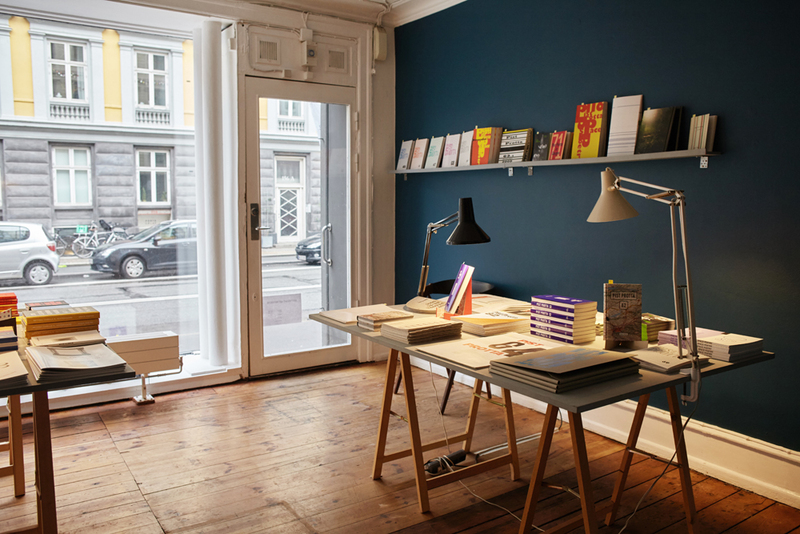 Space Poetry 'Pop-up' Bookstore at SixtyEight, where the Copenhagen-based publisher, Space Poetry, challenging the exhibition format, was invited to will offer its back catalog for sale at SixtyEight. To close out the year (and in time for the Holidays), SixtyEight invited Space Poetry to a reading-room environment that turned our exhibition floor into a 'pop-up' bookstore for the publisher. Here a wide range of titles, including artist books, special editions and magazines published by Space Poetry, were available for sale. Including the latest number of Pist Protta, which was launched on the evening. This bookstore intervention sought to frame an intersection between art publishing and exhibition-making practices in the local economies of art available in the city. To this end, the intervention – rather than the gentrifying process implied in the name ‘pop-up’ – looked to the complex positions and roles that local artistic production has in contemporary art from a regional to an international level. This exhibition project was part of SixtyEight's current two-year program, called Modes and Notes on the Local, where we are looking to support and explore the dynamic and complexity of the Copenhagen-based art scene. Especially via its interconnections, heavy traffic and/or exchange with the international art world. Space Poetry, with its innovative and irreverent twists on traditional formats, challenges the pervasive insistence that print matter is out the door – with each new publication, and like an Umberto Eco novel, saving the artist book (in this increasingly technocratic moment) from a burning tower of books. In this sense, Space Poetry (and its presence in the city) as a research-based institution and cultural treasure, gives producers new surfaces to act on and new avenues for readers/viewers to understand the book as a work of art and beyond. 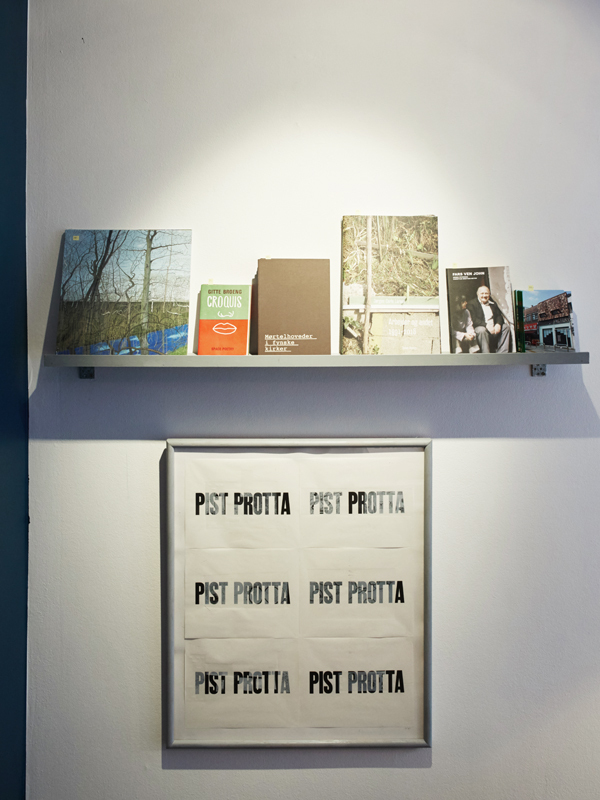 18:00 Pist Protta Nr 83, new issue launch. 20:30 Performance by Molly Haslund. All Space Poetry books and special editions are available for sale at SixtyEight. Anna Fro Vodder presented and read from her book 448 skridt (448 Steps), a collection of images and texts which came about while the artist was preparing her exhibition ‘Afterglow’ in November 2017. Born of shopping trips, shilly-shallying and coffee breaks, 448 skridt offers glimpses into Fro Vodder’s busy and at times uncertain artistic journey towards the completion of the exhibition. As a whole, the book seeks to identify the points at which an artwork actually takes form, begins — and where it might be said to end, to reach its fulfilment. Bettina Vestergaard read from and made an audiovisual presentation of her book Som jeg går gennem parken / As I Wander Through the Park. Vestergaard has for a number of years worked with the story of the deceased author Elsa Gress and her gesamtkunstwerk from the 1970s, ‘Decenter’ at Marienborg Manor on the island of Møn. The book is a montage of texts and photographs which retells the overlooked story in the form of a critical and poetic reflection on photography, historiography, gender, memory and place. SixtyEight Art Institute is an artistic/curatorial research organization looking to uncover, develop, and further exchanges between artists and curators and their creative labor. 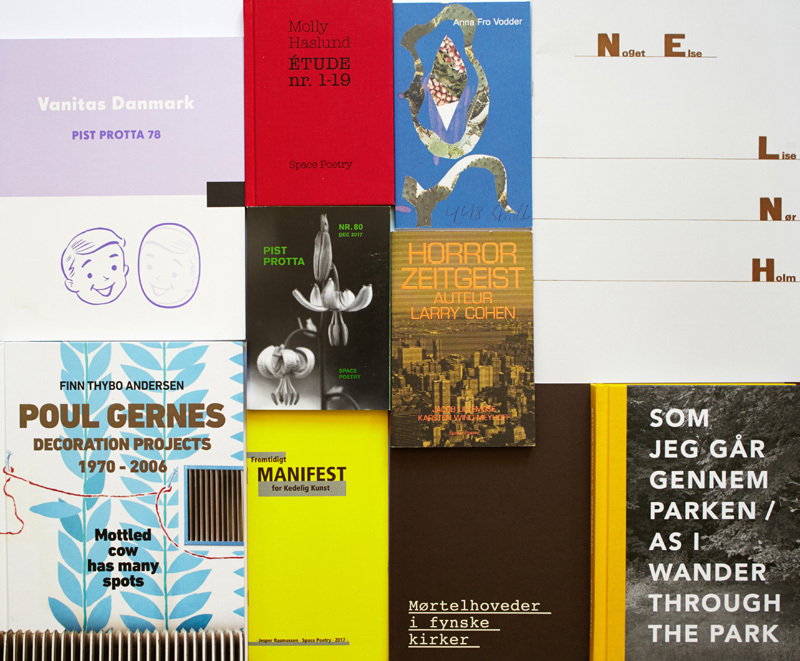 The exhibition Space Poetry 'Pop-up' Bookstore is the fourth installment of our two-year program of exhibitions, Modes and Notes on the Local, which is kindly supported by Københavns Kommunes Billedkunstudvalg and The Danish Arts Foundation.